2014 is looking pretty rubbish for beautiful new car unveilings, however, here are two cars that we are looking forward to seeing and hopefully driving (always wishing). It could be argued that the Jaguar F-Type coupe is more beautiful than the Jaguar F-Type Roadster. What do you think? The coupe will carry over two engines from the Roadster – two supercharged V6s. The 550hp V8 R is dominating headlines and affections. This will use the same fettled V8 as the XFR-S super saloon, and push the car from 0-60 mph in four seconds flat. Bliss! A Jaguar technological first that should help the Coupe take the fight to Porsche is a set of carbon-ceramic brakes. These are a lot lighter than the standard discs, and are available as cost options on the R and V6S versions. The F-Type Coupe isn’t due to go on sale until the spring, but with such an enticing combination of looks, improved practicality, sharper dynamics and even more power, it should be worth the wait. Prices will range from £51,235 for the entry V6 to £85,000 for the F-Type R. Awesome! Not sure about the name, surely they could have chosen a name with more panache. Maybe the Lamborghini Panache has a better ring to it. Anyway, new Lamborghini’s don’t come around too often so whatever it’s called we cannot wait to see it. After 10 years on sale and endless special editions, Lamborghini will in 2104 release a successor to its 10-year-old Gallardo supercar. The styling is likely to keep the classic wedge shape of the Gallardo, but take several cues from the Aventador V12 flagship. The Huracan will be dominated by a mid-mounted V10, tuned to delivered more than 600bhp. The chassis will be shared with the next Audi R8, and is set to be key to a drastic reduction in weight, as it uses a range of ultra-light materials such as carbon fibre and aluminium. In fact, rear-drive cars could tip the scales at 1,300kg, giving the new Lambo a seriously intimidating power-to-weight ratio. Rear-wheel-drive models will follow the four-wheel-drive launch cars, and this could help tempt buyers away from the likes of the Ferrari 458 and McLaren 12C. There will also be a new dual-clutch auto box which should transform the driving experience. 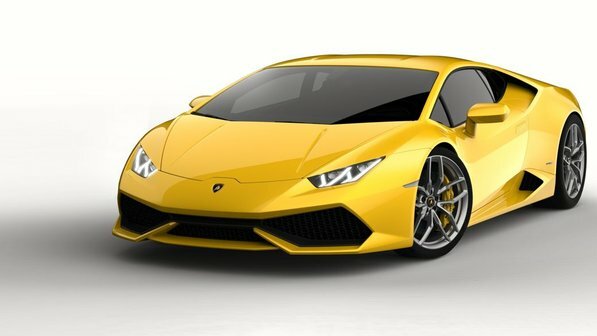 The wraps are expected to come off the Huracan around the Geneva Motor Show in March, before it arrives in dealers in May or June, with a roadster set to follow in 2015. Prices expected to be circa £160,000. Will it have enough to take on the Ferrari 458 Italia and McLaren MP4-12C though? We’ll just have to wait and find out. Have we missed out any exceptional or beautiful cars from your perspective, if so let us know.